It's cold out, and a few snow flakes have been flying through the air today. although, for the most part, the hens seem underwhelmed. 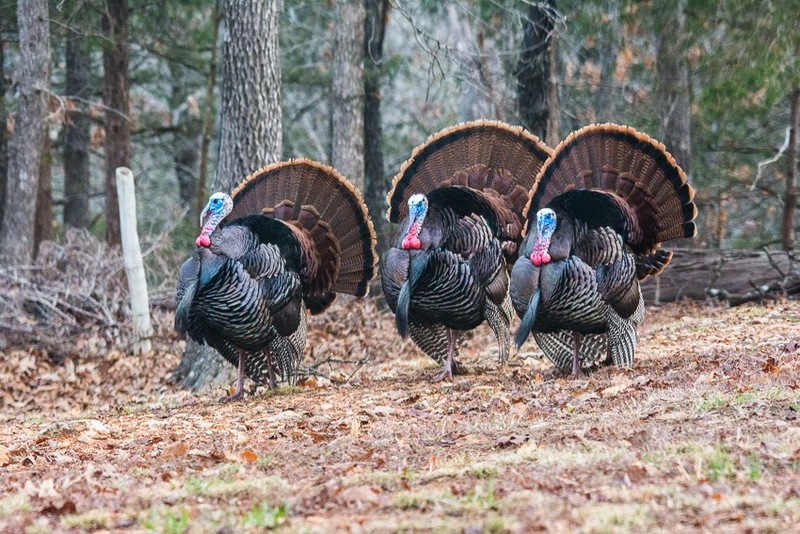 and then, all together, lean forward and let loose their loud and distinctive gobble. Oh, my goodness, these shots are just priceless! I just showed my fellow turkey-admirer and he agrees -- you are so fortunate to be able to see this sort of thing, and to capture it with camera to share with the rest of us is wonderful! 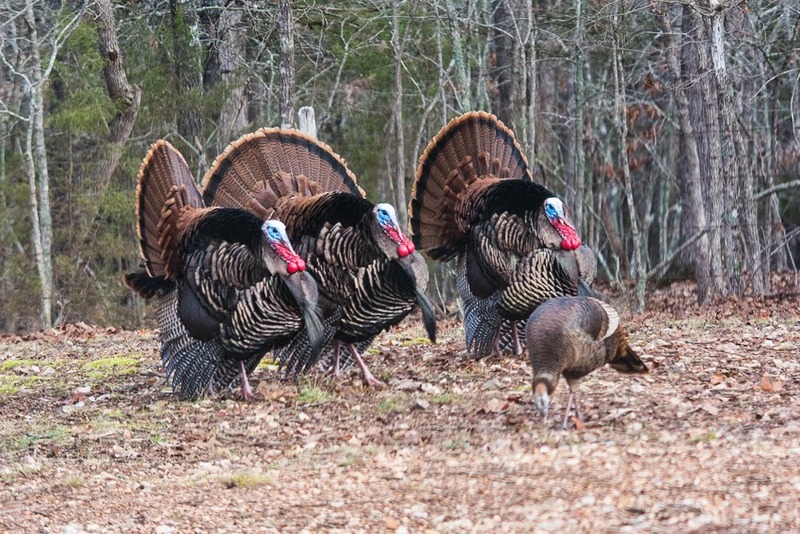 Magnificent shots of those Gobblers ~ they really are strutting rather regally! that's too cute. she looks to be ignoring them. they sure are handsome boys though. What a great shots of these special birds. They are looks like 3 mexican dancers. What an amazing sight! 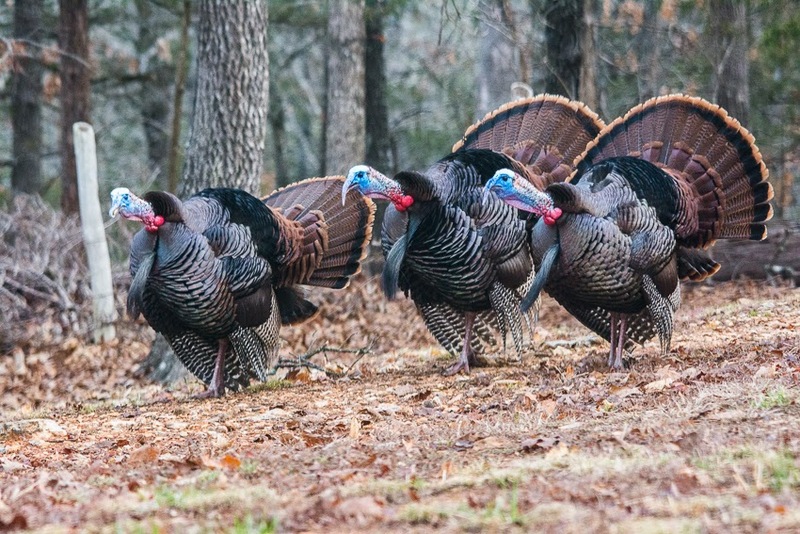 I've only managed to 'shoot' turkeys once, they can move out of range quickly. But these guys had other things on their minds... superb shots! Thank you Connie, for coming by sharing your creative photography on the Weekly Top Shot, #171! Wow! These are some big fellas, Connie, and very handsome too. I wish you a wonderful week ahead, and a truly blessed Easter. Really cool to see them all showing off at the same time. Great catch! Great photos! Like a dance troupe! Great shots. They must be used to people, here you can't get a quarter mile of them! Aren't they beautiful!! I've always loved turkeys! How can the hens resist such handsome roosters?